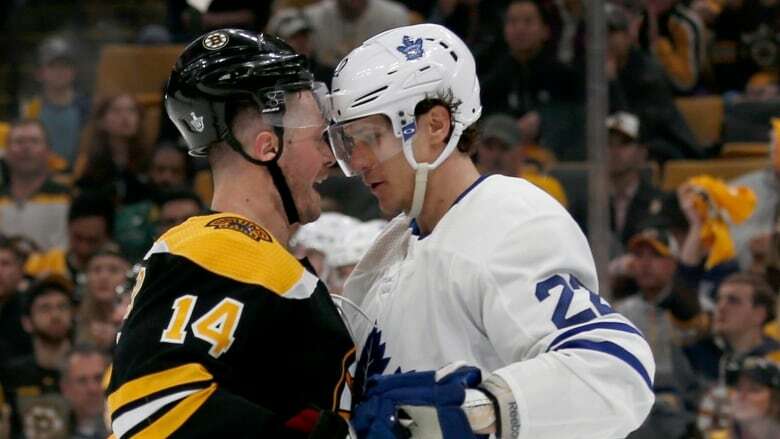 Brad Marchand and Charlie Coyle scored during a raucous first period as the Boston Bruins downed the Toronto Maple Leafs 4-1 on Saturday to even their first-round playoff series at one game apiece. The Maple Leafs knew what was coming. They were powerless to stop it. "Naz is a crucial part of our team," Tavares said. "Whatever the circumstances are, we believe in the guys in our locker room.